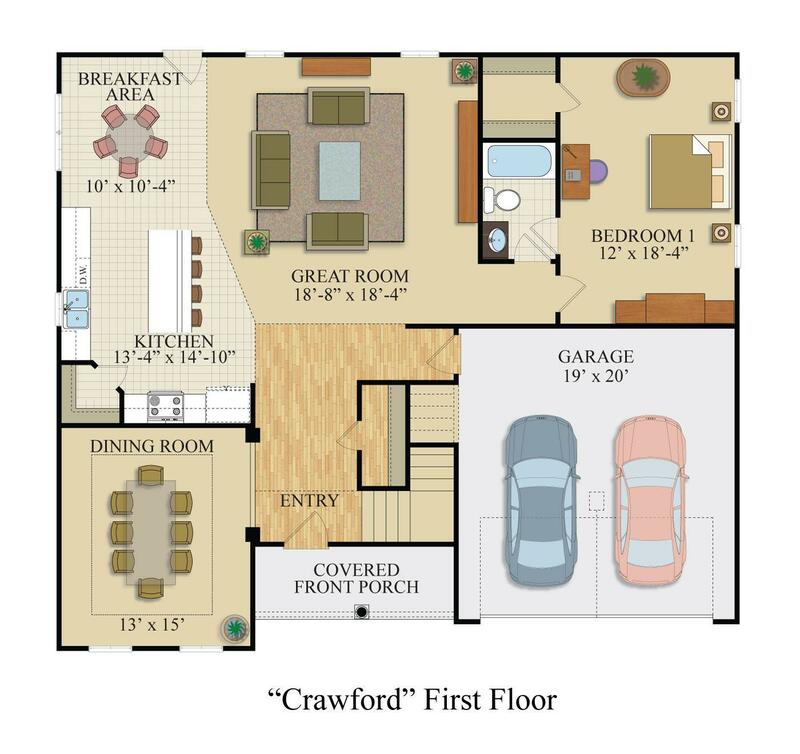 The Crawford is large and versatile home featuring abundant space for your entire family. 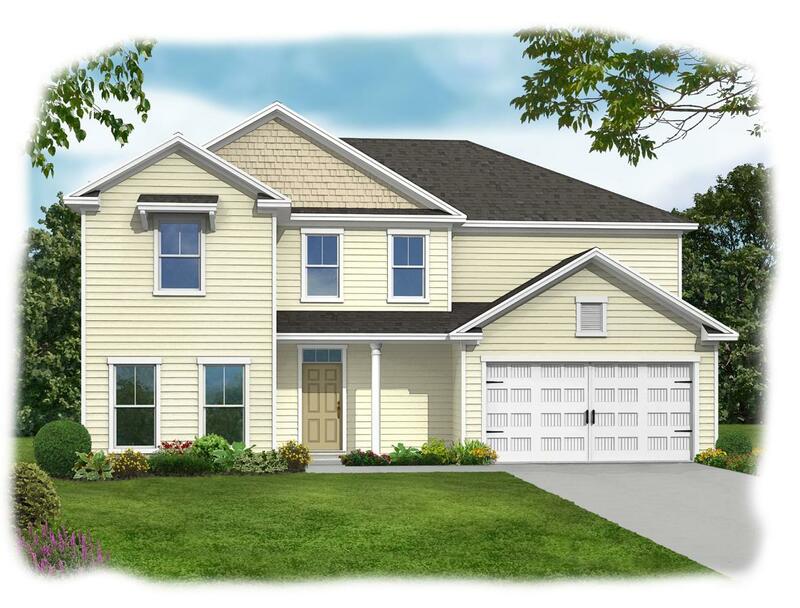 The Crawford features 9' ceilings on the ground floor to compliment a large dining room, and open kitchen, breakfast room, and family room. 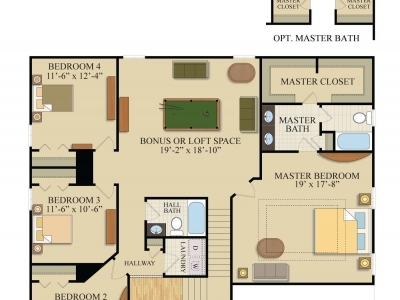 The ground floor also features a guest bedroom with a full bathroom. 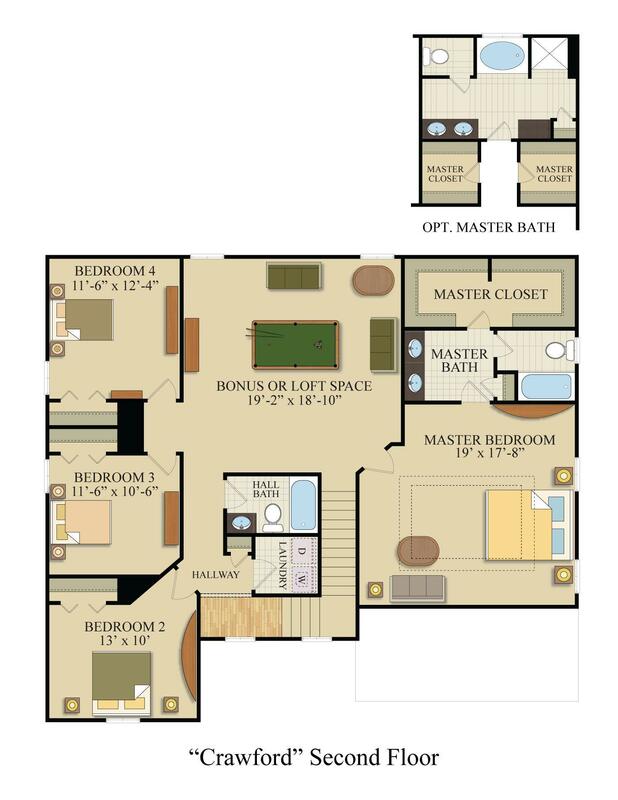 The second floor is highlighted by a large Owner's suite that includes a spacious bath and large his/hers closet. 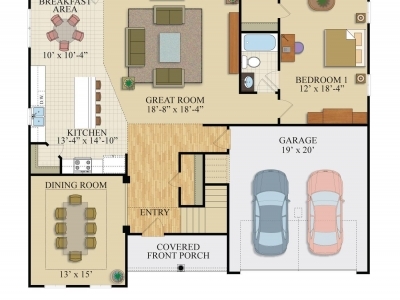 The second floor also features three additional bedrooms and an expansive bonus room. The Crawford is Earth Cents rated and includes Icynene spray foam insulation, helping you to save money while helping the environment at the same time.